The first in a series looking at the increasingly competitive and innovative illustrated book publishing market in the United States. How much more likely are you to pick a book off a shelf or table if it is beautiful? If the cover appeals to you? Or better yet, if the whole physical package grabs your attention? The jacket may feature a spot gloss title on a matte finish or have no jacket or even a photo image but the type may be embossed or debossed, maybe dye-cut or silkscreened on a paper-over-board case, or on striking fabric or wood, plastic, leather…you name it. Maybe it’s a three-piece case with rounded corners. 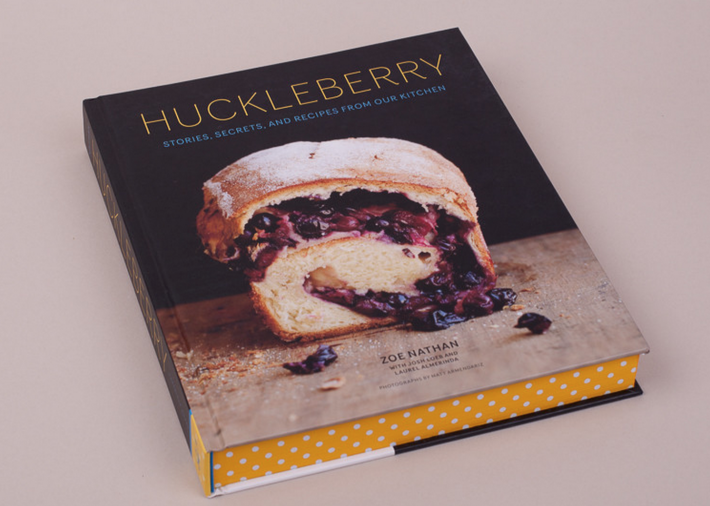 Or has gilded edges, or polka dot edges – see Huckleberry: Stories, Secrets, and Recipes From Our Kitchen from Chronicle Books. Having entered publishing through special markets, more specifically the gift market, I came around to considering books as objects, objects that are potentially as giftable as they are self-purchases. Though I’ll confess to reading many fiction and narrative nonfiction titles on my iPad, my passion for well designed physical books as both a publisher and as a consumer has never wavered. A beautiful book design will often lead me to purchase the physical version, regardless of the category. Recent memoirs such as Sally Mann’s Hold Still and Roz Chast’s Can’t We Talk About Something More Pleasant are good examples of books that hold a special appeal in the physical format. Though each is available electronically I can’t imagine the reading experience would equal the pleasure of perusing through the paper pages. My long-standing interest and perhaps obsession with physical books has led me to conversations recently with a diverse range of publishers of adult illustrated books about the present landscape. (Children’s books are, alas, a subject for a separate article.) For this article I spoke with about a dozen publishers about the challenges of the marketplace, increased competition, price points, print runs, and, of course, the onslaught of digital. What follows — in installments to be published over the next several days — are some their thoughts about the industry along with how and what they’re choosing to publish. Some familiar names are represented here, but no doubt you will think of other prominent publishers who are missing. This group was selected mainly through my own curiosity and interest in what they’re publishing but their comments are not intended to represent the final word on the subject. Though I share many of the feelings and opinions expressed here, I wanted to ensure their voices were carefully acknowledged as often as possible. First, the good news: of late, physical books are looking better than ever. As consumers and account buyers are becoming more conscious of high design values publishers are responding with more innovative design. For publishers who specialize in illustrated books the stakes are even higher, the competitive need to up-speck is more intense than ever. Attention to design and production has been integral to the publishing brand of many of these illustrated book houses from the outset, placing production values directly on par with editorial integrity. Seeing their success — and as a possible counterpoint to ebooks — some traditional trade houses have recently gotten in the game for select categories as well, investing deeper resources in the design and physical experience of their illustrated books. And across the board many are expanding their title count for their lifestyle and pop culture categories — the staple subject areas for many, but by no means all, of these publishers. That said, there remain challenges. Determining print run especially when printing overseas, is especially tricky. Aware that overseas printing can at a minimum add three months to the production schedule (even more with additional flourishes or handwork involved in the printing). Confirming what that initial print run should be has always been challenging. It is easier when the author/brand/series has a track record, otherwise its a wild crapshoot guessing what Amazon, B&N, the clubs or key specialty chains may come in for. And the key specialty chains, like all brick and mortar establishments, are far fewer than in the past. Many of the publishers I’ve talked with happen to publish cookbooks. A point acknowledged for some time now is that the market has become crowded and competitive over the last few years, yet surprisingly, none of the individuals I spoke with expressed any desire to exit from this category. Many in fact seem to have increased their title count in recent seasons and all seem to be devoting more attention to the physical design of these books. Harvard Common Press has for several years successfully found their niche among the bigger players. With about 90% of their list devoted to cookbooks they’ve continually published across a broad range of cooking-related subject areas. With just a modest number of 4-color titles, they’re probably best known for 1 or 2 color treatments, perhaps augmented with perhaps some line art, such as their bestselling Not Your Mother’s series – Slow Cooker, Casseroles, Microwave, etc. These titles have become backlist staples at trade and mass market accounts. Yet moving forward, HCP’s Editorial Director, Dan Rosenberg points out that roughly three quarters of their newer titles will be published in 4-color, with the photography-to-recipe ratio increased as well. He cites a growing demand for 4-color photography from both consumers and account buyers, adding that more young people are gravitating to buying physical books — a trend somewhat analogous to the renewed demand for vinyl record albums. 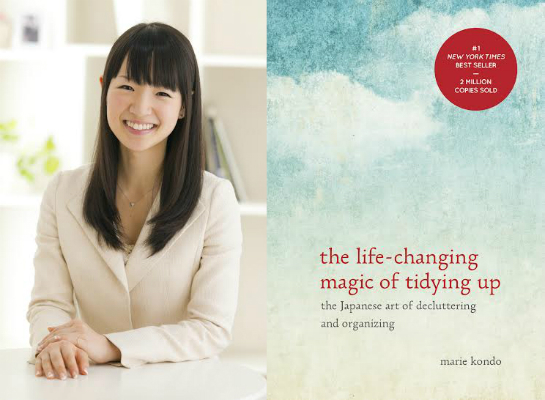 Kondo’s book has sold some 2 million copies for Ten Speed. On another side of the continuum there are the illustrated book divisions under Penguin Random House’s Crown division — specifically Ten Speed and Clarkson Potter. Combined these two imprints currently represent the largest market share for cookbooks, almost double that of the next largest house, and their broad range of prominent author/chef/restaurant platforms, as well as select single subjects, including several bestselling titles, put them easily among the industry leaders. 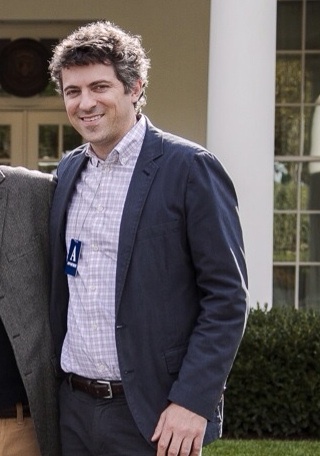 Yet in talking with Publisher Aaron Wehner he clearly doesn’t take their current status for granted. “It’s the most intense time for illustrated publishers,” Wehner notes, “The bar has been raised certainly in cooking but even beyond. 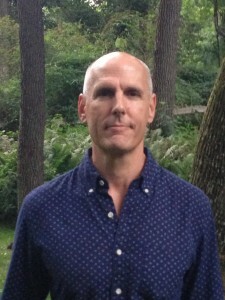 As the shift to digital has been slower the majority of the books that are illustrated are production intensive, with higher demand for up-specking of books.” While also noting that that the value proposition has been given considerably more weight, he understands that the right retail price can be equally important for the given project and its intended audience. Speaking of Ten Speed specifically, Wehner aims to restore more balance across lifestyle categories beyond cooking, while keeping high design as a continuous key objective. Though their editorial department has remained at around the same size for several years, their design department has almost doubled. This investment aside, Wehner admits to being highly appreciative of a success like The Life Changing Magic of Tidying Up, a 1-color non-fiction lifestyle title that is printed domestically. To date it has sold over two million copies. Indeed what publisher wouldn’t hope to find such a title for their list? Leveraging their considerable success in publishing beautifully packaged cookbooks Wehner is looking to expand their design/production expertise into illustrated books within the Harmony list, taking advantage of its connection to the illustrated group at Crown to produce industry-leading visual books in the health/wellness and broader self-help spaces. “One of Crown’s overall lead titles for fall is Lisa Oz’s debut cookbook, The Oz Family Table (with Mehmet Oz on the cover). “There is extensive photography, and printed overseas. It’s a lovely book and reflects a level of production value that Harmony will hold as a standard going forward for its 4c books.” Another Harmony example that was published recently is from YouTube fashion megastar Michelle Phan, whose debuted Make Up last holiday. It is a stylishly packaged illustrated companion to her online video tutorials. 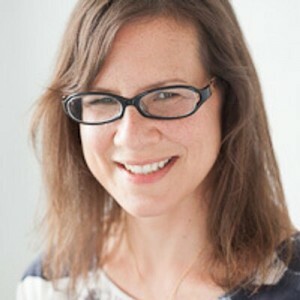 At Rodale, Publisher Mary Ann Naples has been expanding on their multi-platform brand mission to inspire and enable people to improve their lives with roughly 30% of their list devoted to lifestyle books with stronger design and production values. Naples cites the success of their ultra hip Thug Kitchen as an example of how a fantastic design treatment has greatly expanded the audience reach for a subject that was already a blog and Facebook phenomenon. In October the huge fan base for Thug Kitchen can look forward to Thug Kitchen Party Grub. Throughout the publishing process, Rodale remains dedicated to the business of publishing visual books but also strategic about bringing the most value to their audience. In their case visual treatments also extend to diet and health related cookbooks. One example, and another title that they’re hoping to build off of a popular website phenomenon is Simple Green Smoothies with Jen and Jadah: The Radically Easy Way to Lose Weight, Increase Energy, and Be Happier in Your Body, which is also building on the success of a wildly popular website and strong social presence offering over 100 innovative and delicious recipes for a sane and tasty approach to health inspire and energize the whole family. 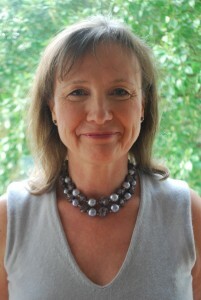 Chris Navratil has worked in illustrated adult and children’s book and gift product publishing for over 20 years. Most recently he was VP Publisher at Running Press and prior held positions at Accord/AMU, Potter, and Chronicle Books. He and his partner live in New Hope, PA along with many dogs and cats, and with frequent guest appearances by numerous and assorted woodland creatures. Chris can be reached at cknavratil@gmail.com.